CONGOLESE artiste Koffi Olomide's concert set for August 3 at the Harare International Conference Centre might be in limbo following indications that he has been banned from entering Zambia for criminal allegations, leaving the local promoter to deal with the singer's huge travelling bill. The rhumba star was billed to stage two shows in Zambia en-route to Zimbabwe, with local promoter Sound Blaze Productions working with a Zambian promoter to shoulder the costs. 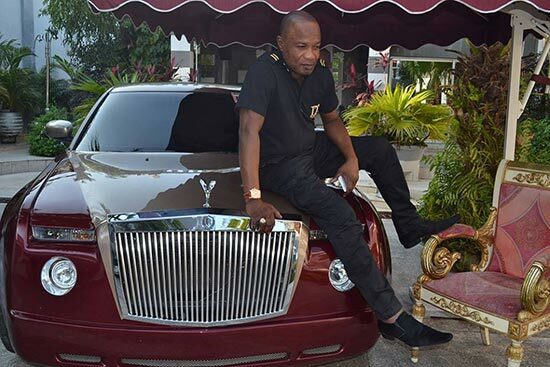 Olomide, who is making a return to Zimbabwe after three years following his last performance at the 2015 edition of the Harare International Carnival, reportedly had charges levelled against him after assaulting a Zambian photojournalist during a previous tour in 2013 and sexually assaulting his dancers, including employing them without valid permits in France. Although sources privy to the developments yesterday told NewsDay Life & Style that the local promoter could struggle to single-handedly meet the huge bill of bringing the artiste to Harare, the local promoter dismissed the claim. Sound Blaze Productions representative Calisto Murawo said everything was in order insisting that the show would go ahead as planned. "I don't know who is feeding you with that information. I don't know where they are getting it from. We have not cancelled our show. Even the Zambian show has not been cancelled; those are haters peddling falsehoods," he said. "For your own information, Koffi Olomide has already been cleared by Zimbabwe's Immigration Department for the concert. The show is going ahead as scheduled." Olomide is set to share the stage with dancehall chanters Winky D and Jah Signal alongside sungura maestro, Alick Macheso and dendera ace Sulumani Chimbetu as well as top wheel-spinners DJ Iroq. Pre-concert tickets are selling at $15 for the ordinary ones, $30 for the VIP and $70 for the VVIP at officially recommended outlets.